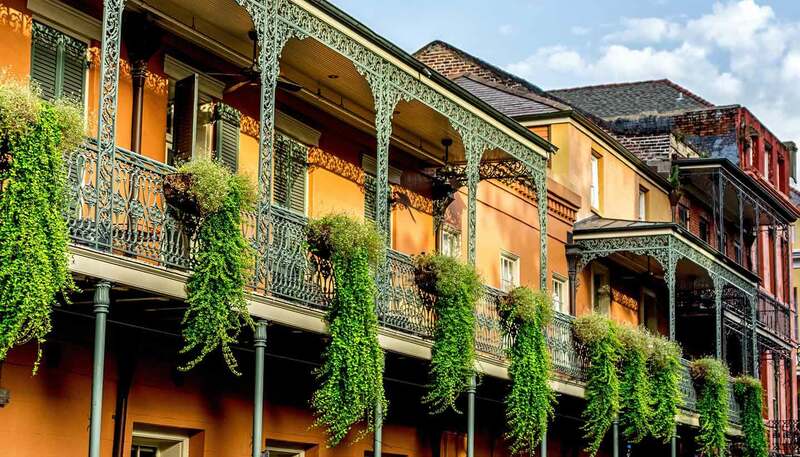 The subtropical weather in New Orleans means it is generally hot and humid from June to September with summer bringing intense afternoon thunderstorms, although winter can be chilly and damp. The most popular time to visit is between February and May, when the city comes alive with the Mardi Gras festival and other special events. Spring temperatures range between 18°C (65°F) to 28°C (84°F). October-January is also a good time to visit, with warm temperatures and less crowds.